Description: In the 1862 Confederate offensive into Kentucky, Gen.
Braxton Bragg’s army left Chattanooga, Tennessee, in late August. 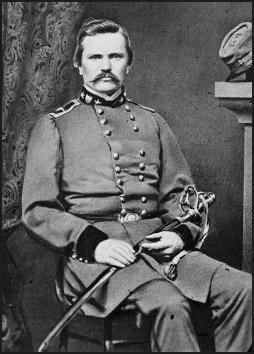 Followed by Maj. Gen. Don Carlos Buell’s Union Army, Bragg approached Munfordville, a station on the Louisville & Nashville Railroad and the location of the railroad bridge crossing Green River, in mid-September. Col. John T. Wilder commanded the Union garrison at Munfordville which consisted of three regiments with extensive fortifications. Wilder refused Brig. Gen. James R. Chalmers’s demand to surrender on the 14th. Union forces repulsed Chalmers’s attacks on the 14th, forcing the Rebels to conduct siege operations on the 15th and 16th. Late on the 16th, realizing that Buell’s forces were near and not wanting to kill or injure innocent civilians, the Confederates communicated still another demand for surrender. 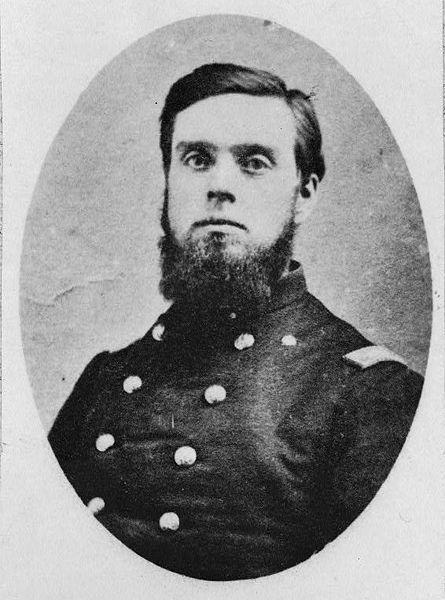 Wilder entered enemy lines under a flag of truce, and Confederate Maj. Gen. Simon B. Buckner escorted him to view all the Rebel troops and to convince him of the futility of resisting. Impressed, Wilder surrendered. The formal ceremony occurred the next day on the 17th. With the railroad and the bridge, Munfordville was an important transportation center, and the Confederate control affected the movement of Union supplies and men. In late August 1862, Confederate Gen. Braxton Bragg's army left Chattanooga, Tennessee and marched into Kentucky. Pursued by Maj. Gen. Don Carlos Buell's Union Army, Bragg approached Munfordville, a station on the Louisville & Nashville Railroad and the location of the railroad bridge crossing Green River, in mid-September. Col. John T. Wilder commanded the Union garrison at Munfordville, which consisted of three regiments behind extensive fortifications. Wilder refused Brig. 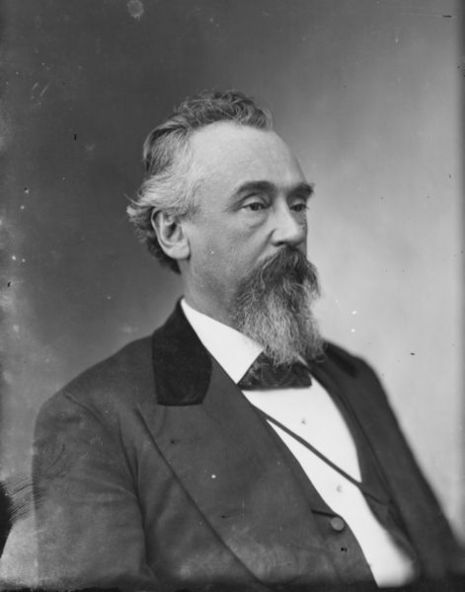 Gen. James R. Chalmers's demand to surrender on September 14. 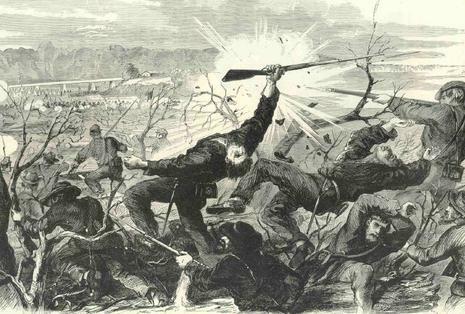 Union forces repulsed Chalmers's attacks that day, forcing the Confederates to conduct siege operations September 15 and September 16. Late on September 16, realizing that Buell's forces were near and not wishing to kill or injure innocent civilians, the Confederates sent another demand for surrender. 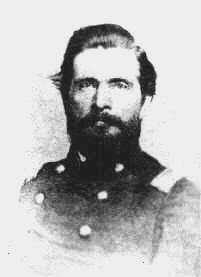 Wilder entered enemy lines under a flag of truce, and Confederate Maj. Gen. Simon B. Buckner escorted him to view the Confederate strength to convince him resistance was futuile. Realising the odds he faced, Wilder agreed to surrender. The formal ceremony took place the next day. With the railroad and bridge, Munfordville was an important transportation center, and Confederates control hampered the movement of Union supplies and men. Two separate places in the National Register of Historic Places are related to the battle. The Unknown Confederate Soldier Monument in Horse Cave marks the grave of a Louisiana soldier accidentally killed while clearing timber for the Confederate advance. The Colonel Robert A. Smith Monument is the only one still on the battlefield.